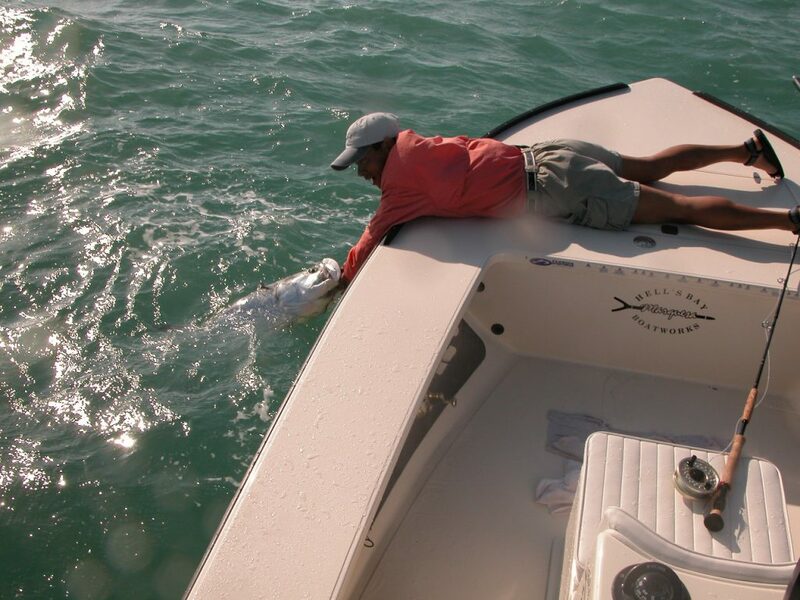 Ozzy has always dreamed about catching a big tarpon on a fly rod. He came to Miami to see if he could get lucky enough to hook one. We found a large group of tarpon but could not get one to take the fly. After several hours and also tried lots of different flies we hooked one. I don’t think that it was the fly that he tied on as much as he just got the right cast in front of the right tarpon and it just decided to eat the fly. He did everything right with the strip strike to clearing the line and got this big tarpon on the reel. It was great to see him so excited, after about 4 jumps and a long hard fight we were able to get this photo just before the tarpon shook free.